IJOY COMBO SRDA Decks are coming. There're three decks for your selection - SRDA-X2, SRDA-M2 and SRDA-T2. Get one and build your own coils. IJOY COMBO SRDA Decks are coming. There're three decks for your selection - SRDA-X2, SRDA-M2 and SRDA-T2. Get one and build your own coils. 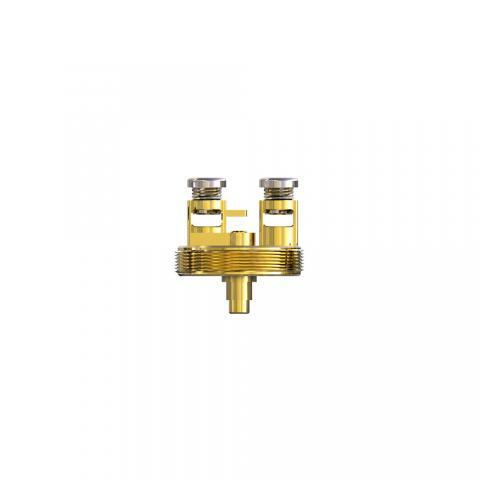 The deck bottom is equipped with gold-plated Squonk pin, which can be used with Squonk MODs. • It's designed for IJOY COMBO SRDA. • You can select Wire, Wick & Tool for easy building. IJOY COMBO SRDA X2/T2/M2 Deck is coming. There're three decks for your selection - SRDA-X2, SRDA-M2 and SRDA-T2.